Winslade takes its name from the local Hampshire town. Soft, gooey, with floral, piney notes. A brand new creation – a cross between Vacherin and Camembert, encircled in a spruce strip. 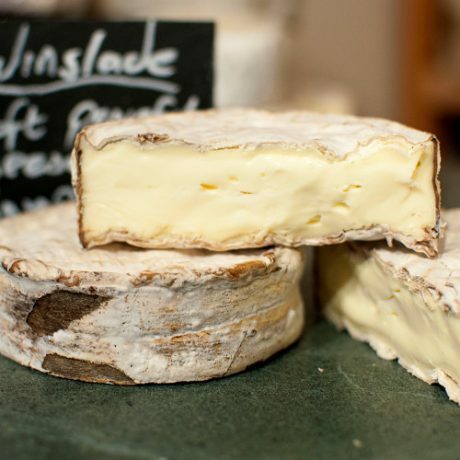 Winslade is then matured and sold by The Courtyard Dairy when it is fully ripe, rich, soft and gooey. 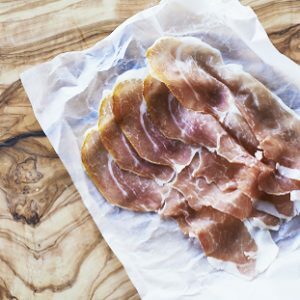 As featured on James Martin. Made by Stacey Hedges and Charlotte Spruce in Herriard, Hampshire, England. Stacey Hedges started making cheese at home in 2004, after falling in love with cheese whilst working for cheesemongers in Australia. Eventually her husband gave her an ultimatum: get serious or stop making cheese. Stacey researched among cheesemongers what was missing in the market, which led to her deciding to make a Camembert in a style akin to the traditional French. So she set up Hampshire Cheeses, and Tunworth was born, named after the nearby hamlet of Tunworth, near Basingstoke. 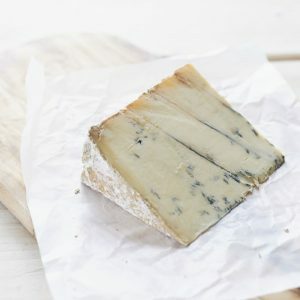 Stacey and Charlotte wanted to create a cheese that was a similar size and texture to Tunworth, so they could manage it using the same tools, but very different. Using expertise from cheese guru Ivan Larcher they created a new Vacherin/Camembert cross. Encircled in spruce, it takes on a piney note and has a similar rind to washed rind cheeses. 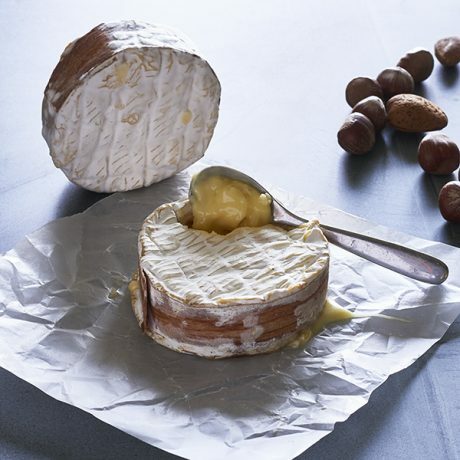 In fact, Winslade is not washed, but uses similar moulds and bacteria to a washed rind cheese, and is matured for eight weeks a high ammonia environment, which creates its pinky hue and dappled rind. Not as strong as Tunworth, mature Winslade is soft and gooey, with gentle floral and piney notes. 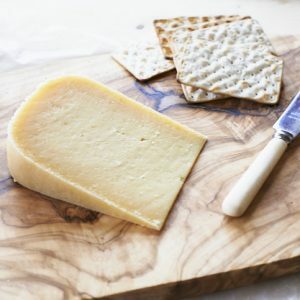 Another success story for Hampshire Cheeses: shortly after its launch, Winslade was awarded Best New Cheese at 2013 The British Cheese Awards. Weight: 1 x 230g cheese. Oh my! What an amazing cheese. You can taste the spruce. Melts in the mouth. Wonderful smooth aftertaste. Opened this cheese and had to eat it all. Definitely on my list of favourites. Highly recommended. This would make an amazing centre piece to any cheese board. Personally I wouldn’t share. I’d just eat a whole one to myself. 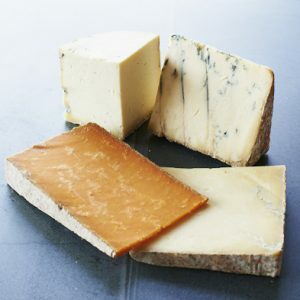 Having spent most of my childhood in France enjoying and appreciating fine cheeses, I have never before experienced the irresistible need to mmmmmmmmmm very loudly while my eyes rolled back in their sockets and looked to the heavens when I tasted Winslade. Amazing and without a doubt one of best cheeses in the universe ….. so creamy and smooth – absolutely fab. Available from Reid’s butchers in four marks so quite local as herriard is just down the road from me, I will be making thus the regular on my cheese board for sure. Having seen this oozing cheese on James Martin show I was very anxious to try it. I love soft tasty cheeses. I bought this for New Year’s Eve and followed the instructions so it reached the gooey point. I was so disappointed. Whilst it was soft and tasty it certainly didn’t pack the punch I was expecting it to, which left me somewhat bereft. Still, we live and learn. I would certainly eat it again but at £8.25 for a small round and not living up to my expectations it won’t be that soon. Winslade is by far the most exciting Cheese I have eaten in a long while. Not only is it great but it is British. We are not normally known for our soft Cheeses but this one is really brilliant. Even my French friends think it is good and that is saying something.